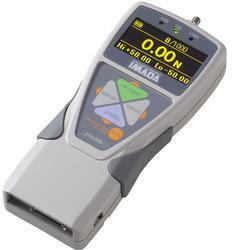 Imada ZTA Digital Force Gauges with Luminescent EL Display, User-Friendly, Multi-Language Menus Color-coded LED indicators and output signal for Go/No Go testing USB (virtual COM port), RS-232C, Digimatic and Analog outputs. Additional features including Display force and displacement data with Imada FA test stand and Export gauge memory or save continuous data to USB flash drives. Imada digital force measurement gauges are state-of-the-art, instruments capable of the highly accurate measurements required in quality testing to determine the strength or functionality of a part or product. 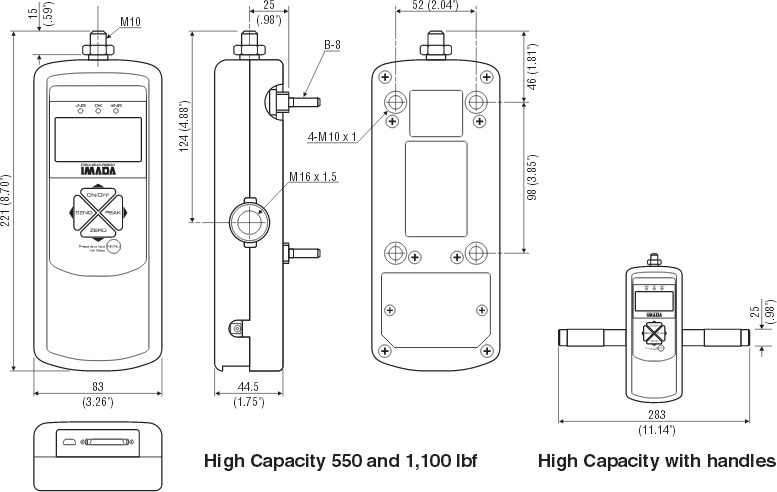 Imada force measurement gauges check both compression and tension (push or pull). Standard and special attachments simply screw on to the threaded shafts to provide various ways to grip or test samples. Imada digital force measurement gauges also output data for collection by data acquisition software in USB, RS232, Digimatic and analog formats. 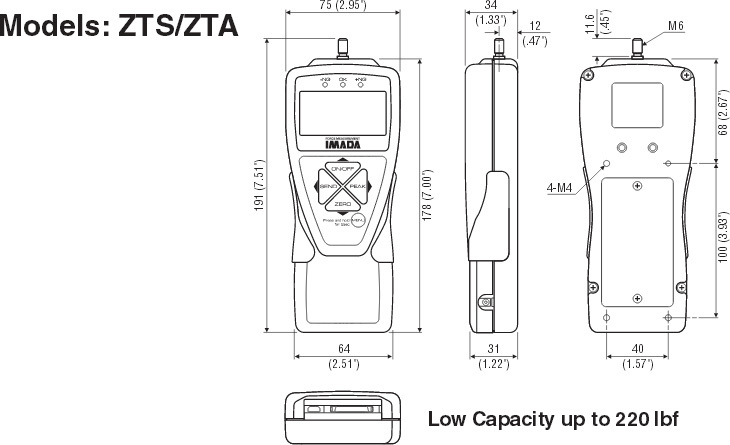 Kit includes, full set of attachments, ZT Logger data acquisition software, USB cable, AC adapter/charger, calibration cert traceable to NIST and carrying case. Easy-to-use menus make programming simple in eight languages. Select units, reverse display, set high/low setpoints, and all other functions in plain language. Electro luminescent EL display shows force value, unit, and peak, and can be configured with additional user-selectable data including memory data, +NG count, high/low setpoints, 1st and 2nd peaks, displacement value (using Imada test stand with FA option), etc. Process and transmit 2,000 actual data per second, not just the peak from a high sampling rate. Optional Force Recorder data acquisition software is designed to process up to 2,000 data per second. Display force and displacement data on ZTA gauges with Imada test stands equipped with FA option. Save data to USB flash drives. Export peak data or capture continuous data at 100 data/second to flash drives with ZTA force gauges. ZT Logger data acquisition software downloads data from the gauge memory or captures a continuous stream of data at 10 data/second. Zero the gauge or capture data while at the computer. All gauge programming can be set and saved from the software.